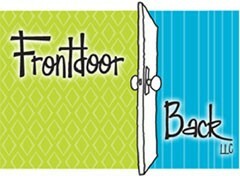 This month’s Chamber of Commerce meeting on Wednesday, January 30 from 11:30 to 1:00 will feature Seanette Corkill and Anne Marie Luthro, owners of Frontdoor Back. This month the meeting will be at the Sportsman’s Restaurant, 121 North Main Avenue. They each have 20+ years experience in retail, design, research, marketing, & sales, working independently and together for independent, regional, national and international clients. Knowing the bigger picture of retail trends and shopper behavior gives their organization, Frontdoor Back, a competitive edge. Their skills and personalities complement each other for lively, fun & educational presentations. Purchase lunch at ridgefieldchamberofcommerce.com/events. Member Fee: $15 (includes lunch & networking). Non-Member Fee: $20 (includes lunch & networking) or $5 if lunch is not requested.